The much-awaited notification i.e. SBI PO Notification has been finally released. 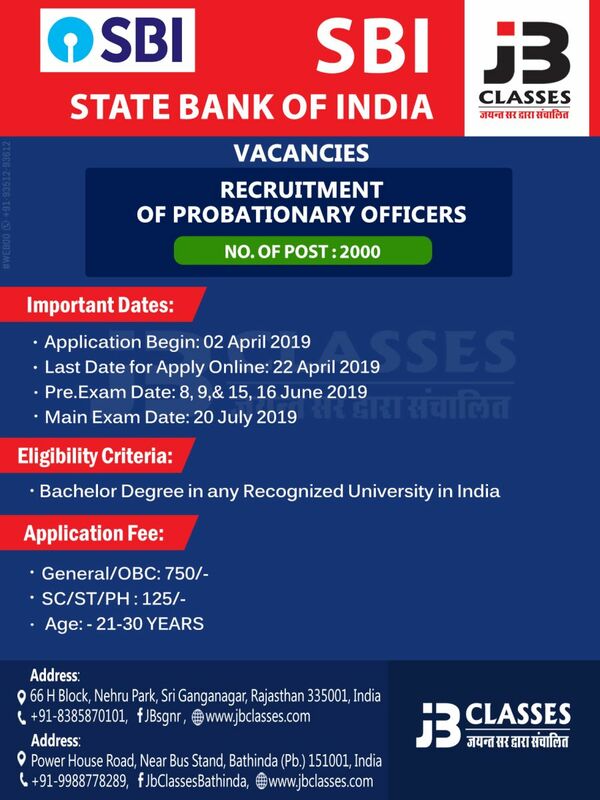 Eligible candidates, who aspire to join State Bank of India as a Probationary Officer, are required to register online for the Recruitment Process. The recruitment process will be held in three phases i.e. Preliminary Examination, Main Examination, and Group Exercise & Interview. Candidates who are shortlisted after Preliminary Examination will have to appear for Main Examination. Candidates who are shortlisted after the Main Examination will be subsequently called for Group Exercises & Interview.